It is not that books, research and coursework are unimportant for agriculture — they certainly are. The best agronomists, though, are able to combine those book smarts with real lessons learned from hands in the dirt on a working farm. 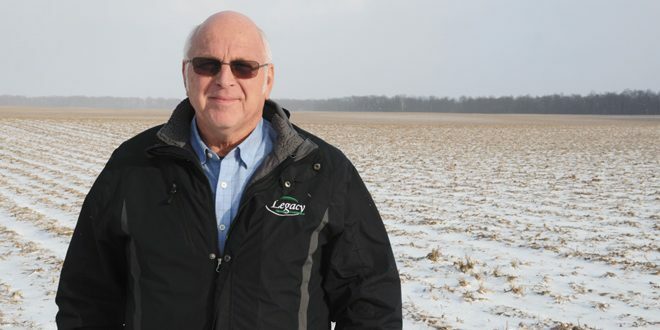 With nearly 40 years of crop advising service in the Hancock County area, agronomist Don Boehm combines knowledge gained while managing his own farm to best serve the customers he works with as the crop protection manager at Legacy Farmers Cooperative. 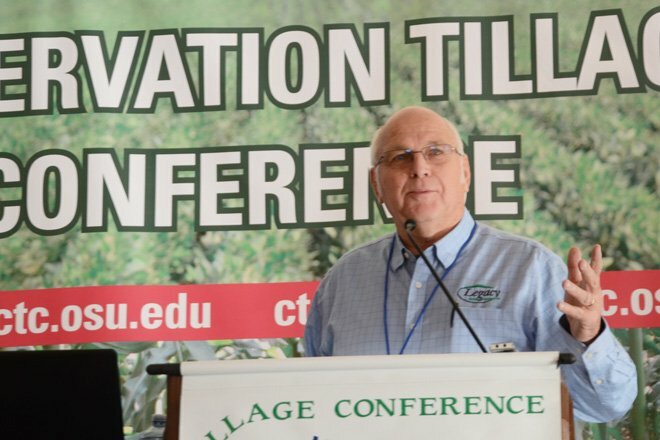 Boehm, from Findlay, was recently named the 2019 CCA of the Year by the Ohio Certified Crop Adviser Program at the Conservation Tillage and Technology Conference. 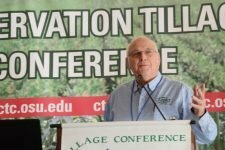 He is currently responsible for weed management recommendations, scouting and implementation strategies for the 4R principles at Legacy, which was among the first facilities certified in the 4R Nutrient Stewardship Certification Program. 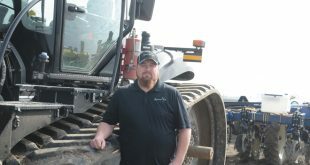 Throughout his career he has been involved with sales, management and direct work with farmers in his role as a CCA, allowing him to implement new technology and practices for farmer customers and on his own farm. Boehm also heads up the Ohio AgriBusiness Association’s agronomy subcommittee and serves on the industry education planning committee. Boehm has seen an incredible move toward conservation in his career. The use of more cover crops has taken conservation another step on Boehm’s farm and on the farms of Legacy members. As with other farming practices, Boehm experimented with cover crops on his own farm to help him make better recommendations for others. Don Boehm of Findlay was named the 2019 CCA of the Year. Because he works within the watershed of the Western Lake Erie Basin, nutrient management has taken on an especially important role in every aspect of Boehm’s career in the last decade. 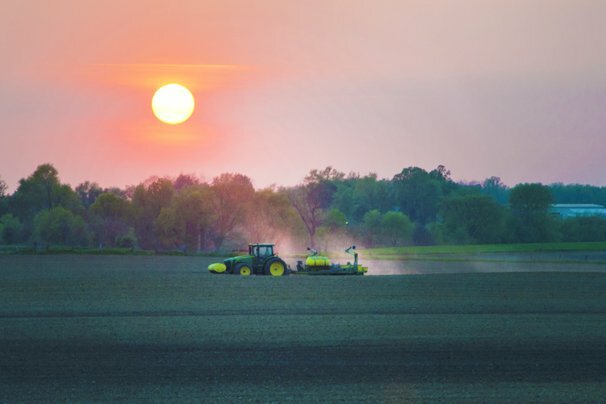 As more research has gone in to the minutia of nutrient management, Boehm has continued to evolve and improve on his farm, and he helps his customers do the same. Boehm has also been able to learn and stay on top of the latest technology and practices through his work with the Legacy research farm. As CCA of the Year, Boehm received a plaque and a $1,500 cash award, courtesy of the Ohio Association of Independent Crop Consultants, Ohio Farm Bureau Federation and Nutrien. Sponsored by the Ohio CCA Program, the CCA of the Year state award recognizes an individual who is highly motivated, delivers exceptional customer service for farmer clients in nutrient management, soil and water management, integrated pest management, and crop production, and has contributed substantially to the exchange of ideas and the transfer of agronomic knowledge within the agricultural industry in Ohio. Other recent honorees include: John Fritz, The Andersons, Inc.; Timothy Berning, Precision Agri Services, Inc.; Matthew VanTillburg, VanTillburg Farms; and Chuck Gates, Seed Consultants Inc.
To view the full list of past award recipients, visit oaba.net/cca_award. 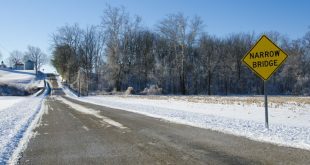 For more information about the Ohio CCA Program, visit oaba.net/cca.